Tickets.com will power a technology platform featuring digital ticketing options never seen before in dirt racing. In addition to Print-At-Home options, fans can also have their tickets scanned on mobile devices at the gate, and in case weather strikes and a race is canceled the functionality to process refunds will be much quicker than ever before. Starting Tuesday, events available at WorldofOutlaws.com include the DIRTcar Nationals Feb. 5-16 at Volusia Speedway Park, races in Texas Feb. 22-23 at Cotton Bowl Speedway and LoneStar Speedway, the California swing beginning March 15 at Silver Dollar Speedway in Chico followed by the FVP Platinum Battery Western Spring Shootout at the Stockton Dirt Track, the 49er Gold Rush Classic presented by Riebes NAPA at Placerville Speedway, the Ocean Outlaw Showdown at Ocean Speedway in Watsonville, and races at Calistoga Speedway, Keller Auto Speedway in Hanford and Perris Auto Speedway. Tickets for back-to-back nights in Arizona April 5-6 at USA Raceway in Tucson and Arizona Speedway in Queen Creek also go on sale, as will the Texas Outlaw Nationals at Devil’s Bowl Speedway in Mesquite, where the Outlaws were born in 1978. In addition, tickets for the new Music City Outlaw Nationals at Nashville Fairgrounds Speedway in Tennessee are already available for purchase. Then, in January, tickets to most of the remaining events will become available. 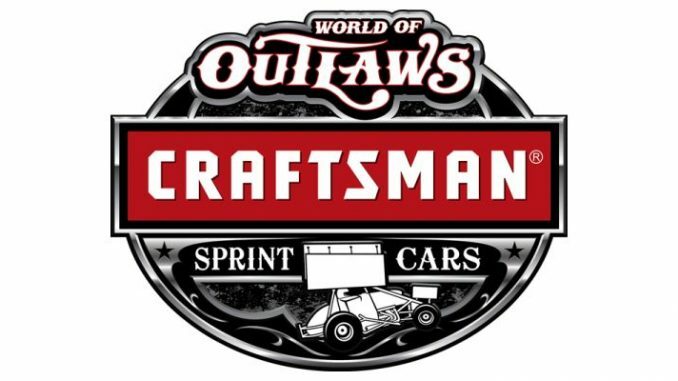 For more information on the 2019 World of Outlaws season, or to purchase tickets to any of the upcoming spring events, go to WorldofOutlaws.com/tickets, or call 844-DIRT-TIX with any questions.